I have never been to a distribution, what should I expect? Arrive prior to 9am (many people arrive between 8am and 9am) and get in the first queue (line of cars) out on the side street (Digital Light Drive). If you are dropped off, walk or rode a bicycle please get behind the car in front of you but be very careful. Once we start, we may move you to the inside parking lot for safety reasons. Have your paperwork (SCKK form) and one form of identification (Driver’s License for example) and something showing your eligibility (EBT Card, Disability Letter, etc.). You will be asked for this when you get to the main counter. We begin moving the line from Digital Light Drive to the parking lot. you will see the line begin to move. 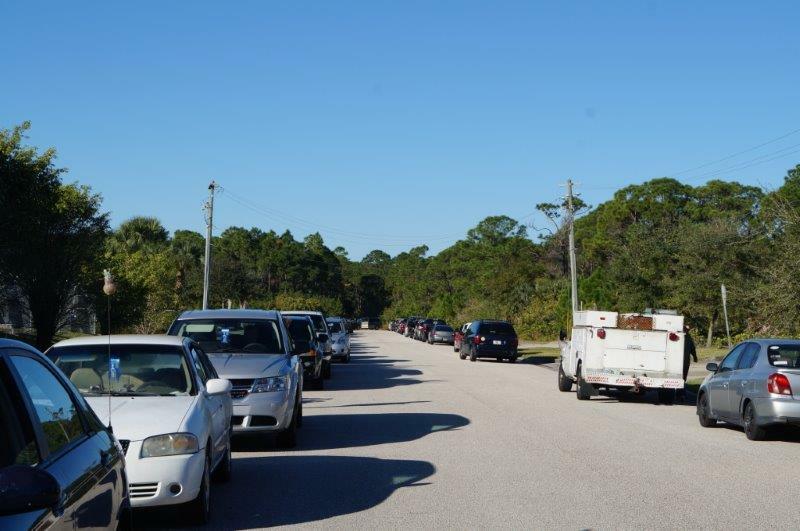 When you come to the front of the line a volunteer will tell you to proceed to the parking lot (when you do BE SURE TO KEEP AN EYE OUT FOR OTHER CARS) or stop at the stop sign. If at any time you are in the front of the outside line, please DO NOT proceed without instructions to do so by the outside line volunteer. 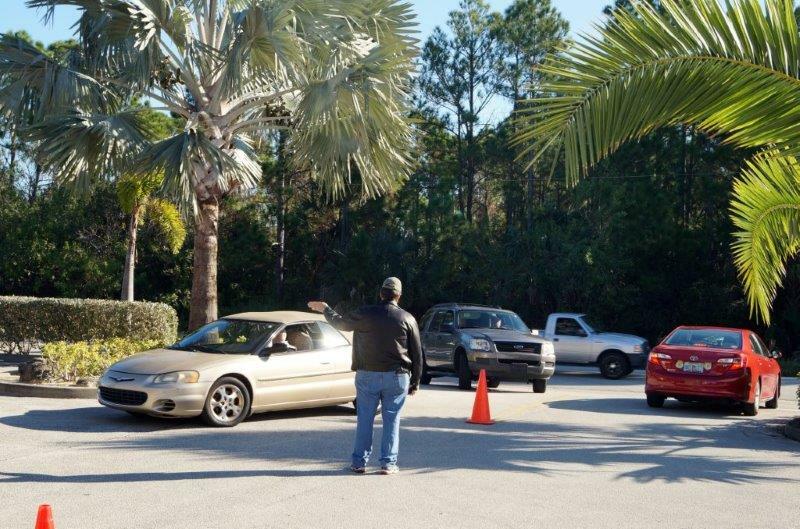 Once you are cleared to proceed to the parking lot, a volunteer will tell you to either park to the right or left. You will see cones. Stay to the right of the cones! If you need one of the very few handicapped spots, please let the inside parking volunteer know (though it’s likely we will have seen your placard already and have preparation if a spot is available). Get out of your and proceed to the check-in counter line. If you aren’t sure where it is, just ask one of the many volunteers you will see helping out. Be prepared to hand one of the check-in counter volunteers your paperwork and appropriate documents. Note: once you have been checked in on your first visit, you will be in our system. You may still need to bring identification and something showing your need so always have both with you. You will be asked to step aside and wait for your name to be called. Once your name is called, one of our delivery volunteers will carry your pet’s food to your car. Note: our delivery volunteers are exactly that… volunteers! 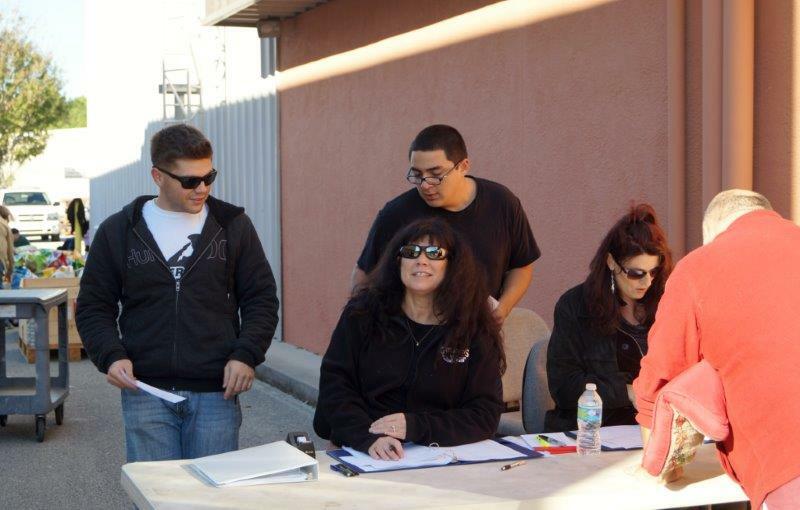 Each one is here to help SCKK and help put food in your vehicle for your pet. While you may be having a bad morning, may have waited longer than expected in line or anything else that may be making your day other than ideal… we ask that you remember these fine folks are there to help you! Once your food is in your car you are all set to leave. The inside parking volunteer will direct you out of the parking lot. When pulling out (no matter which way you are going), be especially cautious of traffic from both ways. Click here to view our Frequently Asked Questions (FAQ) section for more answers to questions you may have.